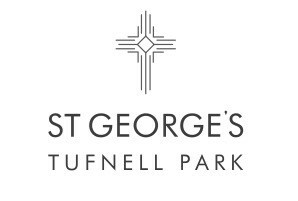 St George's is a friendly, inclusive church in Tufnell Park. Our parish is around 12,000 people from all walks of life. Our hope is to become a community hub, where diverse people find flourishing life together, in the love of Christ. In 2017, we begun Tufnell Tots, a popular, weekly toddler group, and Messy Church. We hold regular community events: BBQs, harvest meals, fireworks parties and the annual pantomime. We are building our relationship with the two local schools. We are active in campaigning for the best outcome for the Holloway prison site. In 2018, we are starting local discussion groups, for people to explore faith and life. We're conducting a community audit to explore how we might serve the poorest and most marginalised in the parish. And we're seeking to start some youth provision, as well as employing a children and families' worker. We are immensely grateful for any support we receive to enable us to carry out this work.